*Idaho Falls City Residents = individuals who reside in the Idaho Falls Property tax district. Season Passes – A Great Deal! Season Passes are available by purchasing the basic pass (prices listed below) and then paying an additional $1.00 per round Capital Improvement Fee. A pass holder can avoid this per round fee by paying $60 for the season. This $1.00 per round fee is valid during the day of payment and includes unlimited holes played at any of the three courses. This Capital Improvement fee directly funds future capital projects. Pass Definitions for 2019: A “Junior” is a person born in 2001 or earlier; A “Young Adult” is a person born in the years 1996-2000, and a “Senior” is a person who is born in 1954 or earlier. Available for families consisting of 2 adults and their immediate family members who are age 18 and under living in the same household (this doesn’t include the $1 per round Capital Improvements fee for adults; children are exempt). Open @ Sunrise; Closed 30 min after Sundown. Starting times will be taken three (3) days in advance starting at the time published at the clubhouse (start time will vary based on daylight hours). A person may either book a time on our internet booking site, call the Golf Shop, or walk in for times. Times will be given in the golf shop on a rotation basis – one phone call followed by one walk-in, etc. Groups less than four (4) will be made into foursomes whenever possible especially on our busy days. May not reserve more than two times, except for special events. 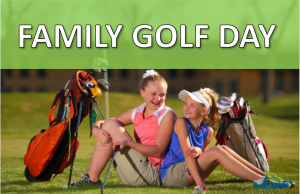 If your group is larger than two groups, call the golf shop to arrange your outing. Walk-in’s are welcome and will be paired up whenever possible. We appreciate your courtesy in notifying us as soon as possible prior to your tee time for any changes or cancellations. All persons entering the golf course and practice areas are assuming the inherent risks of golf. These risks include but are not limited to serious bodily injury or death from stray balls, clubs, inclement weather and irregular landscapes, and damage to property from natural elements or actions of others. Electrical Thunderstorms represent a serious threat to life. When this type of storm threatens, immediately discontinue play or practice and take shelter or other appropriate precautions. Ensure that your golf clubs are not near you; they have the potential to attract lightning. If you cannot find adequate shelter (our courses do provide several shelters and restrooms sprinkled throughout the golf course), seek safety by avoiding open areas, water, metal, wire fences, overhead wires or power lines, isolated trees, elevated ground, machinery and golf carts. Players should seek sheltered areas such as a Clubhouse, maintenance building, on-course building, automobile, dense woods or low-lying areas. It is solely the decision of the golfer as to the safety of a weather situation. All golfers stopping play due to threatening weather have the right to continue from where they stopped when they determine it is safe to return. To ensure this right, golfers must advise the golf shop staff of their intentions. In addition, our golf Shop Staff MAY sound a warning signal form an air horn of one long blast which indicates that staff has observed a threatening weather situation (lightning, severe wind, or other dangers) and patrons must immediately suspend play and seek shelter. This decision will be based on available weather reports and an objective appraisal of the weather conditions. This warning is not intended to replace the responsibility of the golfer in determining the safety of the weather situation. Play may not resume until the Golf Staff sounds the “all-clear” signal of two short blasts from the air horn. Rain checks will be issued to golfers who are forced to abandon their play during a round due to unexpected inclement weather. In this case, golfers can receive a credit towards the amount of golf not played, redeemable through the end of the current season. No cash refunds. No rain checks will be issued for golfers teeing off in questionable weather (questionable weather does not include electrical thunderstorms). All patrons, both golfers and non-golfers, must wear shirts, shoes (no metal spikes), and appropriate attire while on the golf course property. Thank you for your adherence to this policy. For reasons of Safety, Non-playing children under the age of eight (8) are not allowed (*see exceptions under “More Information”). For reasons of Safety, Non-Playing Patrons (spectators) over the age of eight (8) are not allowed on our regulation sized golf courses unless they can demonstrate that they understand and are fully aware of all safety and general etiquette rules common to the game of golf and must follow all rules of etiquette, golf cart rules and regulations, and other course policies. If violations occur, non-playing patrons agree to be removed from premises with no refunds for any payments made. In addition, at the discretion of the golf management, spectator access may be limited or denied due to play volume, limited marshaling staff, or other circumstances (as we may be unable to monitor safety concerns for this rule). Players are advised to call in advance as to the certainty of access regarding non-playing spectators. *Non-playing children under the age of eight (8) exception: The Golf Professional Staff may grant exceptions to this rule provided that their responsible parent fully agrees to have said children follow all rules of etiquette, golf cart rules and regulations, and other course policies. If violations occur, said children and parent agree to be removed from premises with no refunds. In addition, at the discretion of the golf management, spectator access may be limited or denied due to play volume, limited marshaling staff, or other circumstances (as we may be unable to monitor safety concerns for this rule). Players are advised to call in advance as to the certainty of access regarding non-playing children. All players must have (or rent) their own set of clubs, bag, and other necessary equipment. Pets are not allowed on the golf course premises (except for Service Animals). All personal transportation vehicles (whether for people or gear) allowed on the golf course must be rented from and supplied by the facility except for those that are approved by management such as manual & electric push carts for carrying golf equipment. Personal transportation vehicles include but are not limited to golf carts, Segway’s, hoverboards and bicycles. Golf Carts may be operated by anyone 16 years of age and older, providing that person has a valid driver’s license. Children are strictly forbidden to operate a golf cart. Carts should always be driven on the cart paths where provided. Cart renters are liable for any damage to the Cart or other property as well as any personal injury caused by the operation of the Cart they have rented. For safety reasons, carts may not be driven on steep slope areas of the golf course or operated in a reckless manner. Carts shall not be operated in wooded or rocky roughs, in out of bounds areas, or private property adjacent to the golf course or close to water hazards. The parking brake must be engaged whenever a cart is parked. Rented carts may not be taken off club property except where cart paths cross public streets. Extreme caution should be used when crossing public streets or when operating a cart in the course parking lots. Use cart paths where provided, keep carts at least 10 yards from all tees and greens. Unsafe or improper operation of a cart will result in the suspension of the cart and/or playing privileges. Pull Carts should be kept off all tees and greens. Use cart paths where provided. Pull carts are not allowed on the tees, greens, or collars at any time. Any alcohol consumed on the golf course property must be purchased and monitored by our State Licensed Concessionaire’s (State Law). Any violators will be asked to leave immediately. Our Café Vendor is the sole provider of all food and beverages consumed on the course. Banquet facilities are available. No outside food or non-alcoholic beverages may be brought onto the Golf Course property for any group of two people or more for personal consumption, unless otherwise approved by the golf course management. Alcoholic beverages are available from the golf course concessionaire only located in the Clubhouse. A golfer possessing any alcoholic beverage not purchased through the golf course concessionaire is in violation of state law. The beverages will be confiscated and the golfer(s) may be asked to leave the premises. Practice is confined to the practice ranges and practice greens. Range balls may be used on the practice ranges only and may not be used on the golf course. Unused range balls and baskets are to be left on the practice tee. Please check in at the Golf Shop to secure permission to use ranges and/or to rent golf balls. All golfers, spectators, and other facility approved participants accept responsibility for their actions while on the golf course property and are notified of such through signage that is displayed on our scorecards, website, and other locations. An individual alleging a loss or damage will be permitted to accompany an employee of the golf course onto the course/range in an attempt to locate the individual who may have hit the errant ball. If one fails to take this option it should be understood that it will be nearly impossible to locate and identify the offender. Please note, it is NOT the employee’s responsibility to accuse anyone of hitting the ball. It is the responsibility of the parties involved to exchange phone numbers, insurance company information and other pertinent details that you feel are needed. The golf course staff is not responsible to determine its accuracy. A complete report will be made out concerning the incident. 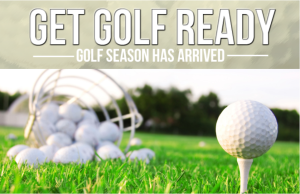 Copies will be provided for both parties, and one copy will be retained by the following persons; Director of Golf, Director of Parks and Recreation, and the City of Idaho Falls Controllers Office. Players looking for a lost ball have a maximum look time of three (3) minutes. While looking for a lost ball, it would be wise to consider letting the group behind play through if the group ahead is visibly out of range and it becomes obvious that your group will lose it’s position on the golf course. Absolutely no starting on #10 tee without permission from the Golf Shop and also ensuring that you will not cut in front (“cut in front” means that the group on #9 will not have to wait at all for you to complete the play of Hole #10 by the time they arrive at the 10th tee) of any group coming up the 9th hole at anytime. The Golf Shop Staff will, if at all possible, combine smaller groups into foursomes or re-sequence starting times to optimize the pace of play. Groups of four or smaller are the norm. Fivesomes may be approved by the Golf Professionals when they will not impact the pace of play. Players in fivesomes must maintain the pace of play or they will not be allowed to play. Please take care of your course. Replace all divots, repair ball marks on our putting greens, and rake bunkers after use. Players are expected to conduct themselves in a manner appropriate for a golf course. Rudeness, excessive displays of anger or frustration, disrespect for others and foul language are examples of conduct that will not be tolerated. Players and spectators behaving inappropriately as judged by golf course staff may be removed from the grounds with no warnings. Law enforcement will be notified of all unlawful incidences and occurrences. Regardless of whether or not your group is playing within these time guidelines, if there is an open space ahead of your group, and the trailing group immediately behind you is constantly waiting, you must let them play through. Do this as many times as necessary during the round. During the play of a hole: Stand to the side of the fairway, etc. and signal the trailing group to play through (be careful to not get hit by their golf balls). As soon as the trailing group hits their shots, you should continue hitting your shots as the trailing group approaches; then once again, stand to the side, let them play through and then wait to hit until they are out of range (the point is don’t just stand around waiting for them to catch you). If you are on the next teeing ground: If you decide to let the trailing group play through as you are on the next teeing ground do the following. First, have everyone in your group tee off. Then, as the trailing group approaches, motion for them to play through. As soon as they tee off, follow them down the hole allowing them to hit their shots. As soon as they are out of range, continue playing the hole. Everyone must have their own set of clubs. This policy helps speed up play because when sharing a set of clubs golfers are constantly delaying play when they need to change or exchange clubs with one another. If you are playing 18 holes, do not take a break after the first nine (9) holes. Immediately continue on to the 10th hole (the back nine) so you do not disrupt the play of the groups behind you. If you are in need of refreshments or food, grab them and go. For your convenience, you may order burgers or such by calling the Clubhouse Café’s at (Pinecrest 701-9275), (Sand Creek 701-9276), (Sage Lakes 701-9277). Golfers stopping for more than five minutes between the ninth and tenth holes have lost their position on the golf course and must be restarted by the golf course staff. Restarting a group of golfers who have lost their position is dependent on the volume of play on the course and may take up to several hours. We have three to four basic sets of tee markers (the place from which you start golfing at on each hole) at our three courses. Each set of tee markers is identified by different distinct colors: Play the set that helps your current ability to play the game (we recommend the more forward sets of markers for most new players as the course plays a bit easier from the shorter distances). Player Assistants and Golf Course Staff are authorized to ask slow groups to pick up and advance to the proper position on the course and or to move aside and let faster players play through. If the request is denied, the slow group will be asked to leave the course for the day. This is a list of the important customs expected in the game of golf. We will do our best to enforce these policies to ensure the enjoyment of all our guests. Safety – Prior to making a stroke or making a practice swing, the player should ensure that no one is standing close by or in a position to be hit by the club, the ball or any stones, pebbles, twigs or the like which may be moved by the stroke or swing. Be sure that others are out of range before you play a shot. Yell “fore” to warn others of an errant or upcoming ball approaching them. Stand behind and away from a player making a golf shot. Any damage done by a player’s golf ball and otherwise is the player’s responsibility. Consideration for other players – The player who is the furthest from the hole should be allowed to play before his fellow competitor does; unless the player who is furthest is not ready to play- in this case others should play. No one should move, talk or stand close to or directly behind the ball when a player is addressing the ball or making a stroke. Sand Bunkers – Before leaving a bunker a player should carefully fill up and smooth over all holes and footprints made. Replace Divots and repair Ball Marks on the Putting Greens – A player should ensure that any turf cut (divot) displaced by him is replaced at once and pressed down and that any damage to the putting green by a ball is carefully repaired. Damage through Practice Swings – In taking practice swings, players should avoid causing damage to the course, particularly the tees, by removing divots. Regardless of whether or not your group is playing within these time guidelines, if there is an open space immediately ahead of your group, and the trialing group is constantly waiting – let them play through. Do this as many times as necessary so there is never an open space ahead of your group. If you decide to let a group play through, stand to the side of the fairway, etc. and signal to the trailing group to play through (be careful to not get hit by their balls). As soon as the trailing group all hits their shots, you should try to hit your own shots again as the trailing group approaches; then wait to hit until they are out of range (the point is don’t just stand around waiting for them to catch you). Players looking for a lost ball have a maximum look time of 5 minutes. While looking for a lost ball, it would be wise to consider letting the group behind play through if the group ahead is visibly out of range and it becomes obvious that your group will lose it position on the golf course. Everyone must have a set of clubs to help with our pace of play. Must have shoes or sandals (preferably golf shoes or tennis type shoes). Idaho State Law does not permit anyone to bring their own alcoholic beverages onto golf course property. If you desire these types of beverages while on this property, they must be purchased at the clubhouse from the State Licensed Concessionaire. If you are playing 18 holes, do not take a break after the first nine holes. Immediately continue on to the 10th hole (the back nine) so you do not disrupt the play of the groups behind you. If you are in need of refreshments, grab them and go. Drive cars respectfully & responsibly. Ensure Safety Rules are followed at all times. Drivers must be 18 years of age or older and have a current State Issued Drivers license. Carts are motorized vehicles which can be dangerous. Any damage that may occur during your use that requires repairs will be your financial responsibility. Electrical thunderstorms represent a serious threat to life. When this type of storm threatens, immediately discontinue play and take shelter. If you cannot find adequate shelter (our courses do provide several shelters sprinkled throughout the course), seek refuge in dense woods or low lying bunkers. For those who feel that playing golf on the Regulation Sized Courses might be difficult at first, we highly recommend playing the Short Course at Sandcreek. For a nominal fee this course has six (6) challenging holes that average around 100 yards in length and the pressures of learning the game for a beginning golfer are much reduced. Give it a try-it’s a lot of fun!